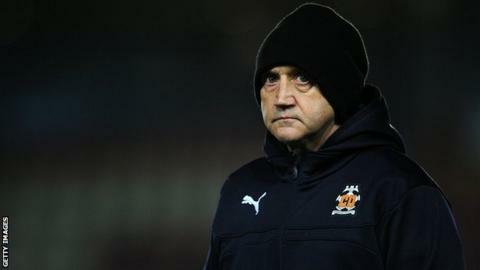 Cambridge boss Richard Money says facing Luton on Saturday is "arguably the biggest game of the season" for both because of a developing rivalry. The two sides have faced each other 10 times in the previous three seasons. "When I was manager of Luton, Luton and Cambridge didn't turn the juices on. It was more about Stevenage and Watford and whoever else," he said. "But now that's reversed itself completely. It's arguably the biggest game of the season for both clubs." Money, who managed the Hatters between 2009 and 2011, told BBC Radio Cambridgeshire: "I think both squads are full of players that are well capable of dealing with the atmosphere. "They've recruited strongly, as we have, we've both gone down the route of signing experience of success in this league and I think it has everything to really whet the appetite." Since 2009, Luton and Cambridge have played each other 17 times. Before 2009, they had only ever met on 16 occasions. Money signed 10 players on permanent deals during the summer, including former Southend striker Barry Corr and ex-Preston midfielder Keith Keane, and added three more on loan. His squad has been beset by injuries, with Money revealing only three of the 21 members have not missed training or a match. But on Saturday he expects to have a fully-fit squad, including five-goal Corr, to choose from for the first time this season against Luton, who Money has "absolutely no doubt on this planet will be amongst the automatic promotion challengers". He continued: "We've had to go through a bit of pain over the last fortnight and that's probably the price of an incredibly interrupted pre-season and first month. "We're trying in the best way we can to nurse players back to full fitness as quickly as we can. "It's inevitable that when you've got so many new players, some of whom are settling into their new place, some away from families - if you throw injuries and illness into that mix it shouldn't be too surprising things are as they are."